Wall Street rose on Tuesday boosted by consumer discretionary and technology companies amid peak earnings, which have largely been positive so far, while investors wait for President Donald Trump's State of the Union address. Estee Lauder Cos Inc jumped 11.6 per cent as the cosmetics maker raised its annual forecast while luxury fashion group Ralph Lauren Corp rose 9.7 per cent after its quarterly revenue and profit beat estimates. About 71 per cent of the S&P 500 companies that have reported earnings have topped estimates. While estimates for fourth-quarter earnings growth are 15.4 per cent, expectations for the first-quarter are much lower at 0.5 per cent, according to IBES data from Refinitiv. Alphabet Inc wrapped up FAANG earnings by posting better-than-expected quarterly revenue and profit. However, worries about sharply higher spending, sent its shares down 0.8 per cent. Google parent's shares were however the only one among the FAANG stocks in the red. Apple Inc rose 1.8 per cent and pushed the tech index 0.8 per cent higher, while Amazon.com boosted the consumer discretionary sector. "Where there was a shortfall in Google it was for the right reason. We'd rather have companies reinvest in their businesses, because you're spending on the future of the company," said Art Hogan, chief market strategist at National Securities in New York. "We're in a wait-and-see mode over the State of the Union to see if any news will be broken, and that tends to put us in a quieter trading environment." President Trump is set to challenge Democrats to approve funding for his long-sought border wall before the Congress at his State of the Union speech due at 7:30 am (0200 GMT Wednesday) . The President has contemplated declaring a national emergency as the Congress wasn't moving towards a deal to fund building a wall along the US-Mexico border, but a source close to Mr Trump said the President was not expected to take that step. 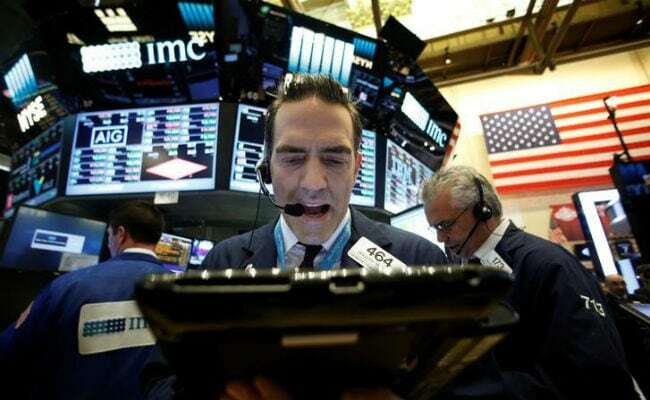 In intraday trade, the Dow Jones Industrial Average was up 104.81 points, or 0.42 per cent, at 25,344.18, the S&P 500 was up 6.75 points, or 0.25 per cent, at 2,731.62 and the Nasdaq Composite was up 33.11 points, or 0.45 per cent, at 7,380.64. Following a turbulent end to 2018, US stocks have had a strong run this year with the benchmark S&P 500 and blue-chip Dow Industrials up more than 8 per cent, and the tech-heavy Nasdaq rising 10.7 per cent. However not all earnings were positive. Seagate Technology Inc slipped 4.9 per cent after the hard drive maker gave a downbeat current-quarter forecast. The S&P index recorded nine new 52-week highs and no new lows, while the Nasdaq recorded 25 new highs and three new lows.